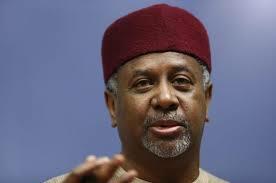 The immediate past National Security Adviser, Sambo Dasuki, has denied ever receiving any formal or informal invitation to appear before an Investigative Panel on the Procurement of hardware and munitions in the armed forces. Mr. Dasuki, a retired colonel, was responding to a statement that President Muhammadu Buhari had ordered his arrest and those of others implicated in arms deal, was quoted by PRNigeria as saying, “I have never been invited formally or informally to appear before the panel. “I am therefore not only surprised but embarrassed by the seeming indictment by the panel purportedly operating from the Office of the National Security Adviser that never contacted me. “For the record I am proud to serve my nation with the best of intention and ensuring the recovery of more than 22 local government councils from Boko Haram terrorists. “I wish Nigerians will go back and reflect on what we did with even little or no supports from some countries. We performed miracles before the emergence of this administration. I even thought the committee was to investigate procurement from 2007 to 2015. Yet only my name is always being mentioned even when some of the issues were before I came into government. President Muhammadu Buhari had on Tuesday received the interim report of the investigative committee on arms procurement with an order for the arrest of all indicted persons in the arms scam. According to a statement by the president’s Special Adviser on Media and Publicity, Femi Adesina, the committee, which was inaugurated on Aug. 31, was yet to complete its work. But its interim report unearthed several illicit and fraudulent financial transactions. It stated that so far the total extra budgetary interventions collated by the committee was N643.8 billion while the foreign currency component was $2.2 billion. The statement noted that the findings made so far “are extremely worrying” considering that the interventions were granted within the same period that the nation’s troops fighting the insurgency in the North East were in desperate need of platforms, military equipment and ammunition. “In the light of these findings, President Muhammadu Buhari has directed the relevant organisations to arrest and bring to book, all individuals who have been found complicit in these illegal and fraudulent acts,’’ the statement said.